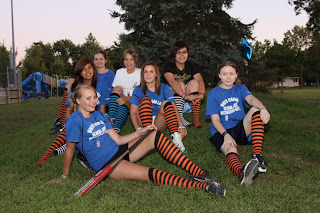 This Minnesota Softball team was particularly colorful at their pot luck picnic this week! The contributing factor? 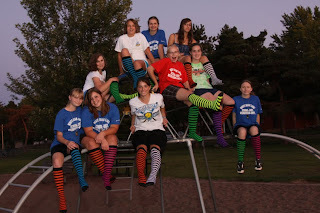 Their We Love Colors Black Striped Knee Highs! The White Bear Lake girls came in 2nd Place last year. Let's see if their new Knee Highs can win them the championship! The girls loved the socks. Thank you so much for everything you did to make this happen. Thanks Bart and the lovely White Bear Lake girls!